In case you’re not up to date, Sony is moving forward with a Venom movie, but it reportedly will not be connected to the Marvel Cinematic Universe, which presumably means Tom Holland’s Spider-Man won’t be in it. As expected, the movie will reportedly have a horror and sci-fi approach – which is totally appropriate for a story about a violent alien who bonds to a man that is full of anger – and it may even be rated R, which means the studio can get a little more gruesome and a little scarier with this twisted character. Eddie Brock’s Venom has always been one of my favorite Spidey villains (Kraven earns the top spot) and I love the idea of seeing him done right on the big screen. But “done right” without Spider-Man really seems like an uphill struggle, doesn’t it? You can still get the same themes and Eddie can still hate someone else, but without it being Peter Parker/Spider-Man in the conflict, the dynamic may not feel as interesting as it could. Eddie is driven by revenge, and luckily for Spider-Man, the hero has the intelligence and physicality to survive Venom’s wrath. But if Spidey’s out of the picture, who could provide an interesting conflict for Venom, and for how long? Or will they use their own version of Spider-Man, like how 20th Century Fox and Marvel Studios (briefly) shared Quicksilver? It doesn’t seem likely since they’re focusing on Venom instead of creating their own Spidey-verse (again), but I sincerely don’t know whether or not that’s an option for them. Will Eddie’s desire for revenge be fulfilled in the first movie and then he’ll become more of a brutal anti-hero? 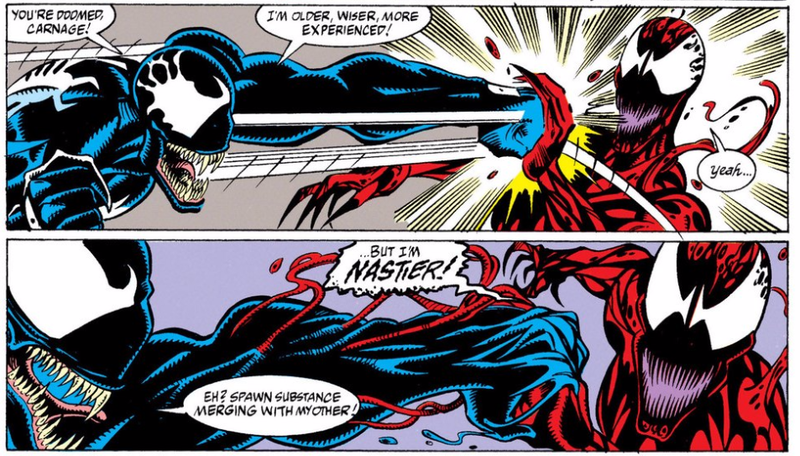 If so, will it just be a conflict with the Sin-Eater – who’s a key player in Venom’s origin story – in the first movie, and then the sequels delve into Carnage, Toxin, and more? It’s definitely possible, but without Spider-Man, it may feel a little hollow if it isn’t handled amazing well. But who says they’re even using Eddie Brock? What if it’s MacDonald Gargan? Or what if they come out of the gate with Flash Thompson? There are more options, of course, but if it’s not Eddie, I’m guessing it’ll be either of those guys. Not being connected to the Marvel Cinematic Universe is a double-edged sword. On the plus side, this means Sony doesn’t need to worry about connecting Venom to a bigger and already established universe or follow the same rules. The studio can do its own thing and (hopefully) have fun setting up its own universe. For example, would a Venom spinoff be rated R if it was part of the MCU? Probably not. And who can they tease in this first film? What vigilantes and characters are running around in the Sony-verse? Prowler? Reportedly Silver Sable and Black Cat? Puma? Paladin? 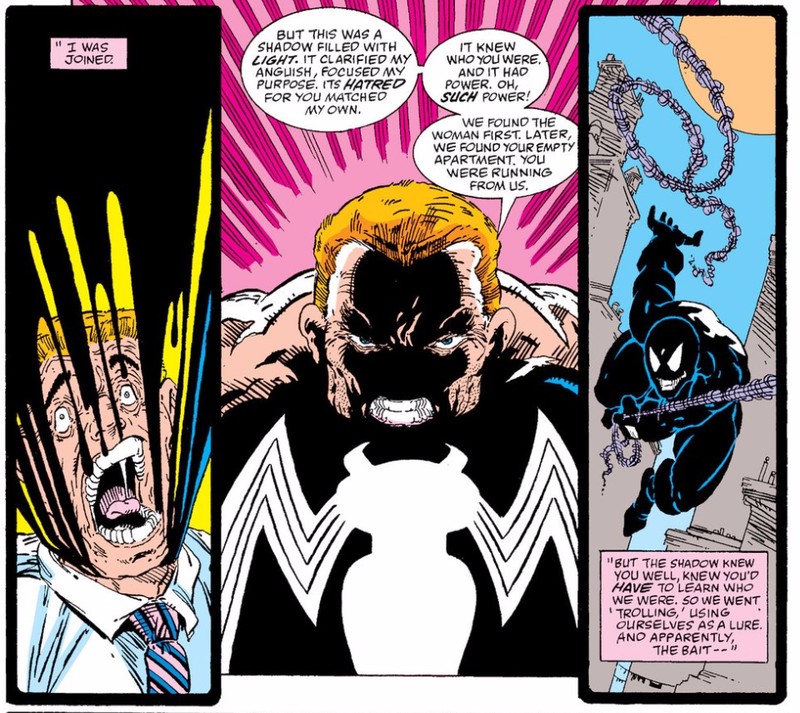 If the sequel (or credits scene in the first movie) introduces Carnage, could a third movie go with Toxin, and then a fourth have the government use Venom as a weapon, drawing inspiration from Flash Thompson’s earlier time as Venom? There’s definitely long-term potential, but the first hurdle (i.e. how do you give Venom an impressive introduction without Spider-Man?) is definitely a big one. I guess we’ll just have to wait and see. On the downside, not being connected to the MCU this means they probably cannot/won’t use Spider-Man and some other heroes and villains connected to the agile hero. 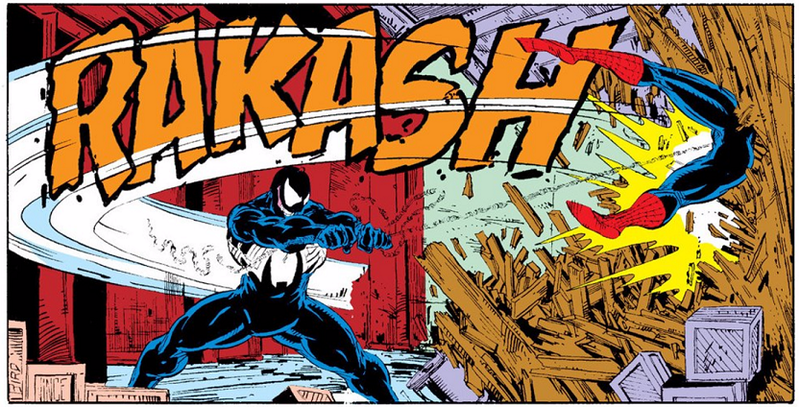 If that’s the case, how much inspiration will this cinematic version of Venom draw from his comic book counter-part? The “webbing” and logo on his chest comes from the web-slinger, of course. Sure, Venom can still use his symbiote to swing around the city and the logo could be something similar, but without Peter Parker’s existence, it would feel odd to have these nods to Spider-Man while also not having the character actually be a part of the story. Look, this is obviously all 100% speculative. Maybe the movie will reinvent the character in a brilliant way, maybe it won’t. It’s way too soon to tell – there isn’t even a synopsis yet! If they have a legitimately great way to use this fan-favorite character and find a way to make it work without Spider-Man, more power to ’em and I look forward to it. But if this is just a blatant cash grab and a greedy desire to start a shared universe because they’re popular right now, it’s going to really show. Anyway, fingers crossed that Venom delivers. If not, at least there’s always the comics and animated shows, right?